Our approach to business is customer centered in all aspects. We have worked with organizations from nearly every industry including Schools, Churches, Childcare Centers, Contractors, HOA’s, Apartments and Municipalities. We understand the unique needs of our clients and take that into account with every project we plan and price. By having a customer centered approach with every part of our organization, it ensures that our customers receive quality products and services, timely with expectations met and special considerations taken into account to address the needs of our client, as no two projects or organizations are exactly alike. We custom tailor every project from start to finish to address the unique needs of your organization. This begins with open and direct communication with our clients. We want to understand you needs completely and set expectation upfront so that they can be met. In operating this way it allows our customers to understand our process and for us to better understand theirs, this understanding helps guarantee a successful outcome for all of our projects. Our goal is to make our customers happy, and make them customers for life. Most Estimates Within 24 Hours ! They handled all of the challenges professionally and seamlessly. The staff Pro Playgrounds installed a pavilion for my Parks and Recreation department in one of our parks, which is an island without vehicle access. They handled all of the challenges professionally and seamlessly. In addition having the most competitive pricing in my market, their workmanship was top quality and they left the site cleaner than they found it. I will certainly use Pro Playgrounds in the future and highly recommend them. 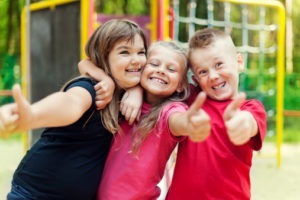 Pro Playgrounds is knowledgeable, responsive, conscientious, and meticulous in his approach and the finished product has always been one in which I was completely satisfied. Having contracted with Pro Playgrounds on four previous commercial construction projects I can say that I have been highly pleased with his work. Pro Playgrounds is knowledgeable, responsive, conscientious, and meticulous in his approach and the finished product has always been one in which I was completely satisfied. I will be using Pro Playgrounds again in the near future. They addressed every negotiation or question during the process promptly, professionally and in an organized manner. We are pleased to write this letter of recommendation for Pro Playgrounds. As the owners of two large daycare facilities, we corresponded with and interviewed several companies to partner with us, and our builder, in our outdoor play space at our recently built second preschool. With our years of childcare experience, we knew what we needed and how we wanted it done. With our very high expectations, Pro Playgrounds did in fact become our partner in building our dream. The staff at Pro Playgrounds demonstrated the necessary skill-set needed to be effective for this job. They addressed every negotiation or question during the process promptly, professionally and in an organized manner. Pro Playgrounds creativity along with their professionalism and concern for the customer’s property, combine to make working with them a joy. Our church considers Pro Playgrounds a part of our church family. They have designed and built three play spaces at our church during a three year span. Pro Playgrounds creativity along with their professionalism and concern for the customer’s property, combine to make working with them a joy. The final product is safe, current to industry standards, beautiful and, most of all, a fun space for the children. We would recommend Pro Playgrounds to anyone interested in upgrading their play spaces. Pro Playgrounds was consistent in his communication and services. He made sure his installation was ready and installed on time. Our company used Pro Playgrounds for or new preschool. As with any new construction delays happen that push back all of the contractors. Pro Playgrounds was consistent in his communication and services. He made sure his installation was ready and installed on time. I am very happy with the playground structures that Pro Playgrounds designed and they were quick to respond after installation when an item needed replacing. They didn’t question the need for a new piece of equipment. They completed the exchange and installation within two weeks. A great company!